Product prices and availability are accurate as of 2019-04-22 14:24:54 UTC and are subject to change. Any price and availability information displayed on http://www.amazon.co.uk/ at the time of purchase will apply to the purchase of this product. 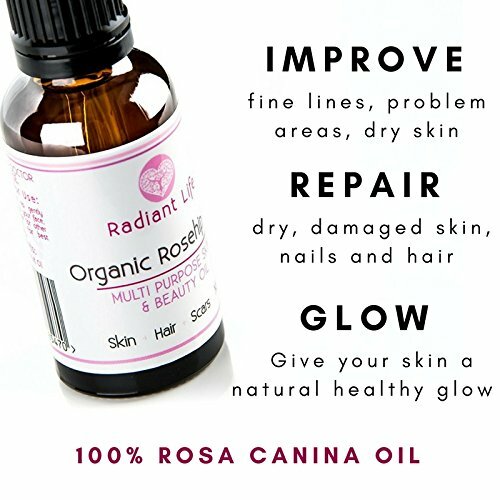 100% Natural and Animal Cruelty Free, as well as being budget friendly ways that Radiant skin doesn't have to come at the price or your concepts (or your purse!). SOFTENS AND SMOOTHES SKIN. 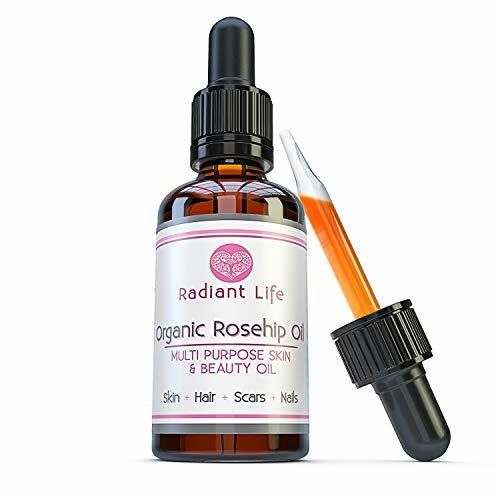 Radiant Life Premium Rosehip Oil is a 100% pure and natural Rosehip oil which contains a powerful combination of Provitamin A, Vitamin E, Vitamin C and Omega 3,6 and 9 fatty acids which will leave your skin feeling soft, smooth and hydrated. 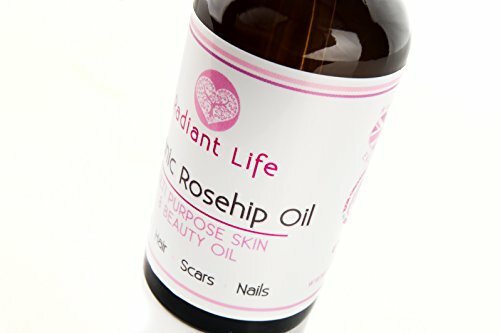 There's a reason so many celebrities love Rosehip Oil! NOURISHES AND REPAIRS. 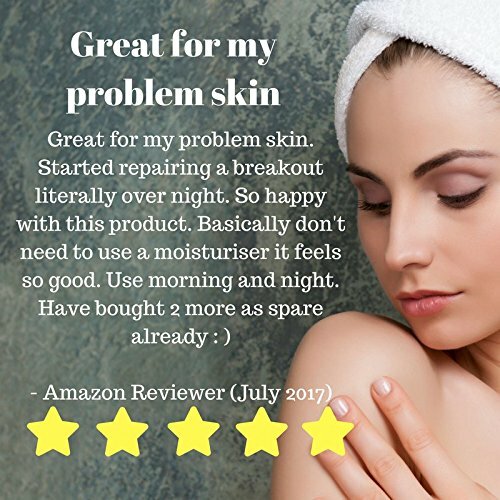 The non greasy formula also repairs and rejuvenates damaged skin reducing the look of scarring and helping to soothe sunburn, it is also commonly used by eczema sufferers. ENCOURAGES OPTIMUM SKIN HEALTH. Many people do not have enough Omega 3,6, 9 and fatty acids in their diet. 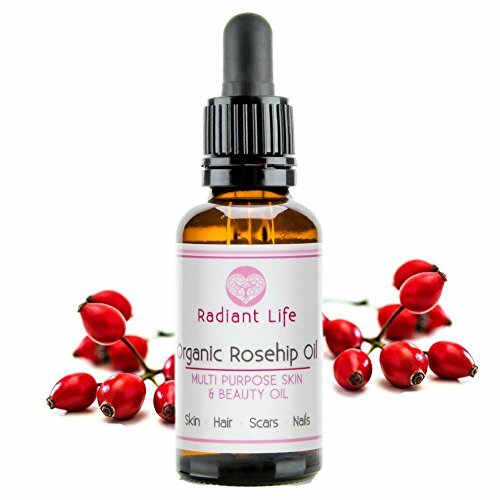 Rosehip oil contains these essential elements, which help your skin reach its optimum health and get the glow you deserve. REDUCES FINE LINES & WRINKLES. Vitamin C and E within Rosehip Oil help encourage collagen production, moisturise and block free radicals that can cause premature skin aging. IMPROVES DRY AND DAMAGED SKIN AND HAIR. Rosehip oil is extremely effective on dry skin, particularly elbows, knees, heels and cracked lips. It can also be used on dry and brittle hair to make it feel soft and nourished.